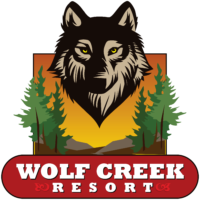 Welcome to The Wolf Creek Resort! Conveniently located minutes from all of the great things that make Big Bear such a desired vacation destination, most of our rooms include functional wood burning fireplaces, and full size bathrooms and kitchenettes! Whether you’ve come for the world class vineyards or to relax lake side at Big Bear Lake, we have a perfect room, suite, or cabin just for you! At The Wolf Creek Resort, we have luxurious rooms equipped for any vacation! Whether you’re a couple looking for a romantic getaway or a large family looking for adventurous fun, you’ll find there’s a perfect room for your ideal getaway. Planning a trip to Big Bear Lake for a large group or class? We’ve got the perfect lodging for you! Our famous Wolf Den not only sleeps 34 people in luxurious beds, but also has a large common area, full-sized kitchen and dining room, as well as a pool table and large porch! Need a large room for an event? Our Event Center is beautiful and spacious enough for large groups! Perfect for trainings, conferences, and social gatherings, it’s even equipped with a full-sized bar and large patio, open to our world-class vineyards!